Shooting as a sport. We cover the events from across the UK and the world. Originally designed by Sir Edward, EJ Churchill’s hellfire cartridge is one of the most highly received cartridges in the industry, generating a loyal following of shooting enthusiasts. We thought it would be interesting to look back at the history behind the cartridge and provide a handy table for shooters to consult on exactly what type of cartridge they should use for each shoot. British Shooting’s double trap squad have had huge success at the Lonato European Championships. An individual gold, two team golds, junior team silver and one individual bronze were all secured in Italy as our shotgun athletes proved they are a force to be reckoned with in the DT discipline. Rachel Parish started the medal rush by becoming double trap champion before Matt Coward-Holley reached the final of the senior men’s competition alongside fellow compatriot, Tim Kneale. The pressure was on for both athletes as it came to fruition that Coward-Holley would take on teammate Kneale for bronze, meaning that GB were guaranteed a medal – and it was GB Academy athlete Coward-Holley who won the medal. With Kneale destined for the 2016 Olympics in just a month’s time, it was a great achievement to reach the final amongst world-class competition and he will will go into Rio full of confidence. The strong performance of the senior men’s team, that was completed by Steve Scott, meant GB were also crowned European Champions, just a year after becoming World Champions at the same venue. GB Academy athlete, James Dedman came very close to being amongst the medal winners with a bronze but was beaten by Russian Kamul Khusaenov in the final. But his strong performance, alongside fellow Academy shooter, Connor Gorsuch and Lewis Ramsey meant the junior men’s double trap team secured team silver. Matt Coward-Holley and Rachel Parish rounded off a very successful and busy day by winning mixed team gold, meaning GB are women’s, men’s team and mixed team European Champions. Performance Director, Steven Seligmann, was delighted with not only the medal winning athletes, but the entire British Shooting team throughout the Championships. He said: “The final day with the double trap discipline has topped off a great week for Great Britain. “The medals in individual and team events demonstrates the strength in depth we are developing across the system and gives us great momentum heading into the pinnacle event of sport, the Olympic Games in Rio. “The spirit within the camp this week has been excellent. Huge credit to all the athletes, coaches, support staff and parents who have come together to make the week really positive. As we continue to embark on the journey of becoming a world-leading shooting nation, we are seeing real unity within GB which gives us an exciting platform to build upon”. For a full list of results, click here. The greatest event in the clay shooting calendar, the CPSA World English Sporting Championship returns to English soil in 2016. The CPSA are delighted to announce the continued support from one of England’s finest shooting grounds, E.J. Churchill. 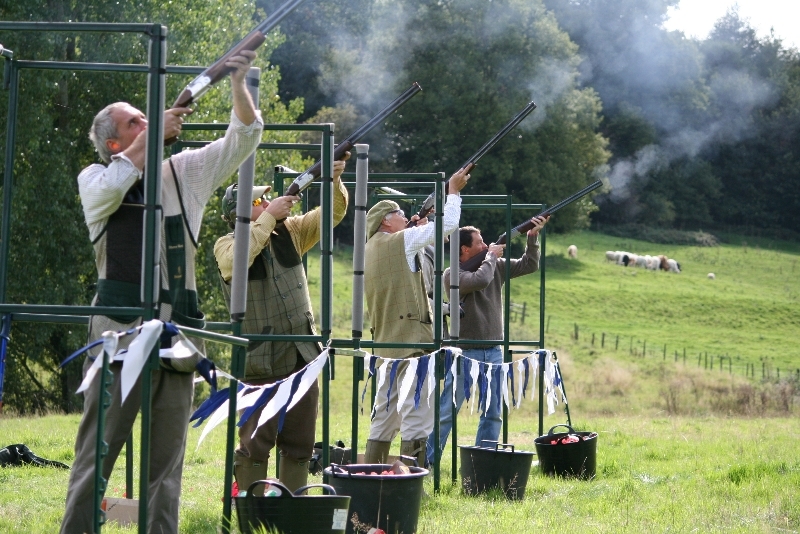 This remarkable ‘festival of shooting’ will take place between the 20th and the 26th June 2016 in the glorious Buckinghamshire countryside. The full week’s shooting will include the CPSA World English Sporting, World Sportrap, Prelim English Sporting, FITASC Sporting and a range of exciting supporting events. Following the success of the CPSA English Open Sporting at High Lodge, the CPSA World English Sporting Championship will follow the new format of all squads starting on stand 1 on each of the courses. E.J. Churchill based on the West Wycombe Estate has won many accolades including, best shooting ground in the UK in the IPC Shooting Industry Awards 2014 and will be celebrating 125 years in 2016. With a stunning 5,000 acre property set in an area of outstanding natural beauty, the venue is justly proud of its long heritage and first-class facilities. The luxury of such vast acreage at your disposal is that the CPSA World English Sporting layouts will be entirely different from 2014, giving shooters a brand new challenge whilst upholding the quality experience E.J. Churchill has to offer. The 2016 CPSA World English Sporting will again be sponsored by Zoli and Gamebore, the CPSA World Sportrap by Zoli and the Intercontinental Trophy by Blaser. 100 target shoot on either: Monday, Tuesday or Wednesday at E.J. Churchill. 100 target shoot on either: Tuesday, Wednesday or Thursday at E.J. Churchill. A 200 target shoot, shot over 2 days at West Wycombe Estate (access from E.J. Churchill Shooting Ground). There will be a Super Final, where the top six shooters (following shoot-offs to decide any ties) will compete for the World title. England v America Team Event – The five person team competition will be a head to head shoot which will culminate in a thrilling climax. Can England claim the contemporary Blaser trophy back from the American team in what we are sure will be a hard-fought and no doubt ‘emotionally charged’ competition!